Observation - Crab Shells and Claws - UK and Ireland. Description: The beaches of Tresco are covered in crab shells and claws, these were just a few I gathered in a small area. 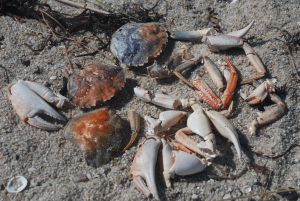 The beaches of Tresco are covered in crab shells and claws, these were just a few I gathered in a small area.